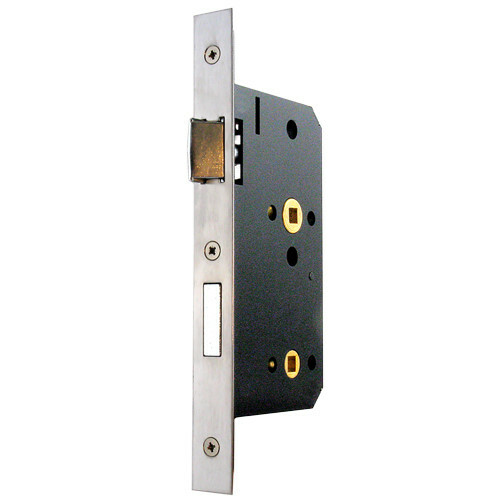 Forming part of our Euro+ Modular range this British made Mortice Privacy Lock provides keyless locking of bathroom or toilet doors and is an ideal choice for both high quality, prestigious residential properties and heavy use commercial applications. Suitable for lever handle furniture on backplate with integral privacy thumbturn, or on rose with seperate turn and release set. Particularly suitable for heavy, un-sprung lever handle furniture due to the strong follower springing. 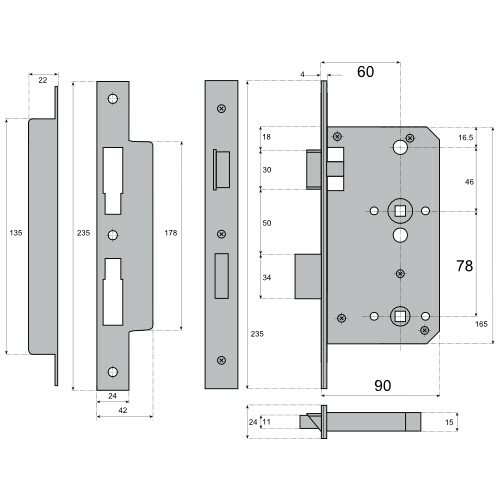 Fully reversible to suit left or right hand hung doors and approved for use on fire rated timber door sets in accordance with current regulations. To avoid fixing screws fouling the lock body use handles with horizontally opposed bolt-through fixings or with backplates where fixings positions are adequately spaced. NOT recommended for use with door knobs. 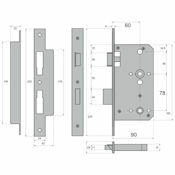 Conversion sets to allow fitting of this lock to double doors with rebated meeting stiles are available to special order - please contact us for details and prices. 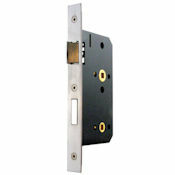 This lock is a non stock item and normally needs to ordered in from the manufacturer. You should therefore allow approximately 10 - 14 days for despatch.